Spherical aberrations occur due to the refraction of light at different angles during transit through the spherical surface of an intra-ocular lens and the optic medium of the eye. Without corresponding correction, the light rays cannot be focused precisely on the eye retina which produces a blurred and doubled image. Spherical optics forms an imperfect image due to the presence of spherical aberrations (unevenly distributed optic power). Aspheric lens displays even optical power at all sections, thus producing an image of higher quality even in conditions of poor illumination. Most of standard intra-ocular lenses are made on the basis of spherical technology. Any standard intra-ocular lens has the effect of altering the optical power from its center towards the periphery. This feature reduces the quality of vision since it affects the contrasting aspects of the image. Any decentralization reduces the vision acuity, boosts positive aberration and thus distorts the image at the edges. Intra-ocular lens with upgraded optics have aspheric frontal and rear surfaces which prevents aspheric aberrations and reduces to the minimum any optical anomalies. With such lens the acuity and quality of vision are not affected when the optical axis of the eye or the center of the pupil are shifted. The Anti-Glare technology spares the patient of undesirable optical anomalies and blindness from bright sources of light which affect some patients who use intra-ocular lens of other designs. 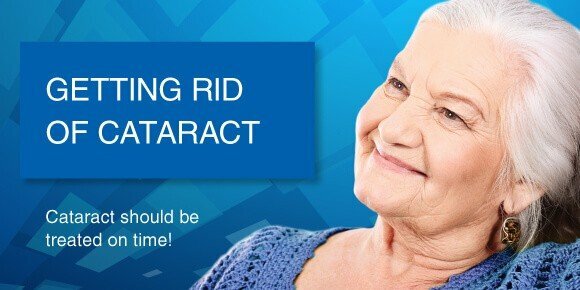 A continuous square-shaped edge with no secondary cataract effect. The lens design takes into account the refraction-anatomic features of each eye. Aspheric lenses guarantee good vision both in conditions of good illumination and with poor illumination when the pupil is dilated. The acuity and quality of vision with such lenses are not affected when the optical axis of the eye or the center of the pupil are shifted. This type of lenses ensures maximum comfort and high quality of vision. The biocompatibility of the lenses has been proven by hundreds of thousands of implantations.